Quality models of two picea abies nidiformis withstones. 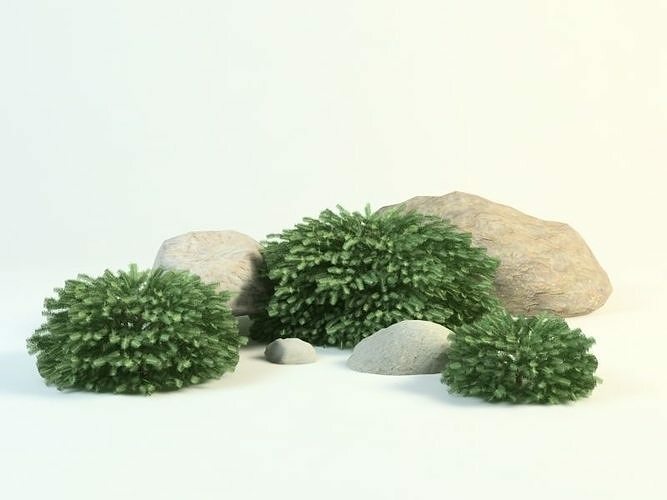 Models suitable for landscape design and decor. All textures are include.